We can’t deny it. 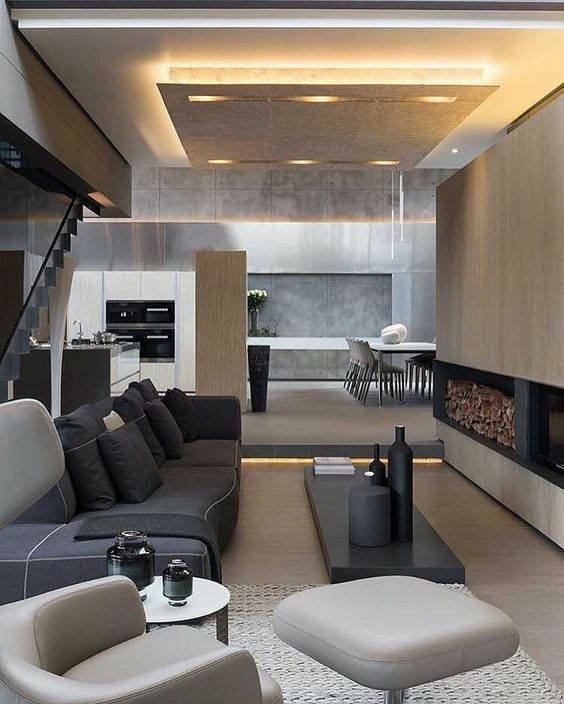 The open plan living is one of the most loved and wanted of all the home design trends that happened since the 1980s. Before that decade, homes have well-defined rooms and each one has its specific use. (This is called the broken plan layout). Then, this trend began and people started knocking most of their interior walls down. Almost everyone wanted to live in an open plan space until some people longed for more privacy. They realised that they need areas where they can concentrate and be more productive at home. They longed for quiet spots — and that seems impossible when all actions happen in one open plan room. Do you feel the same way about your current home? Well, we at Superdraft wants to offer you a solution. Instead of building you the generic open plan area, why not recreate a broken plan living space? How does a broken plan living space look like? This is a step back… Back when each room has its own use. The broken plan layout gives a boundary to each room and area inside your house. The broken plan layout lets you experience the joy of living in an open plan while giving you privacy. It’s the best of both worlds. How do architects and designers achieve this? As mentioned earlier, one must divide the entire space in a subtle way. Plan your space right to avoid small and dark areas at home. Access to natural light is the priority when designing these spaces. Your next concern is recycling the light that enters your home. One way to do it is through installing internal windows. 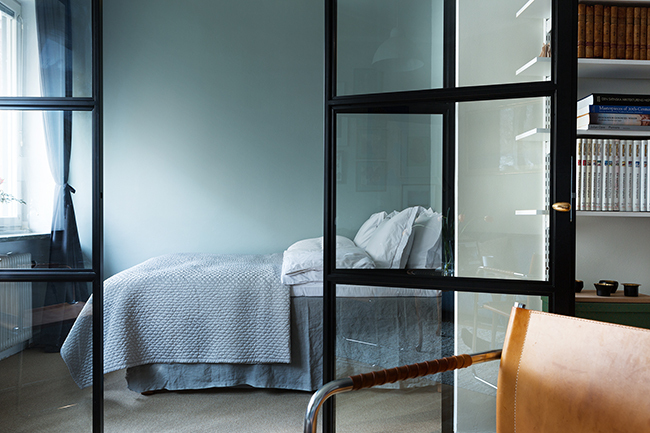 The glass will allow light to pass through to the next room, unlike solid and opaque walls. Take this home office for example. 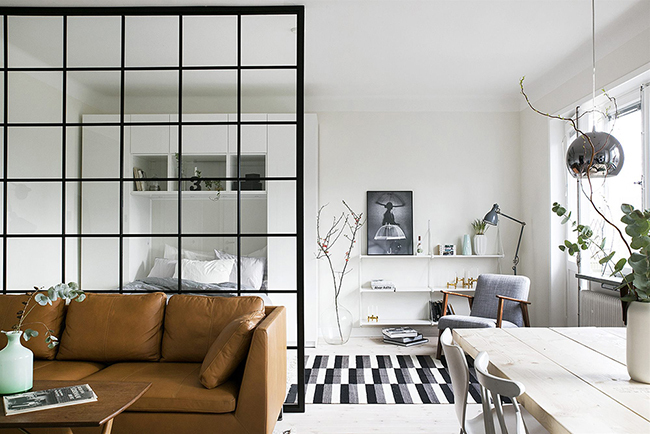 Look at how this apartment’s internal windows separated it from the living area. Even the position of the work table cuts you off from the happenings on the other side. Look back to the featured home office above. Notice how the open shelving unit connected the adjacent areas. Indoor windows separated the areas, but the shelves keep the flow between them. Here’s another example. 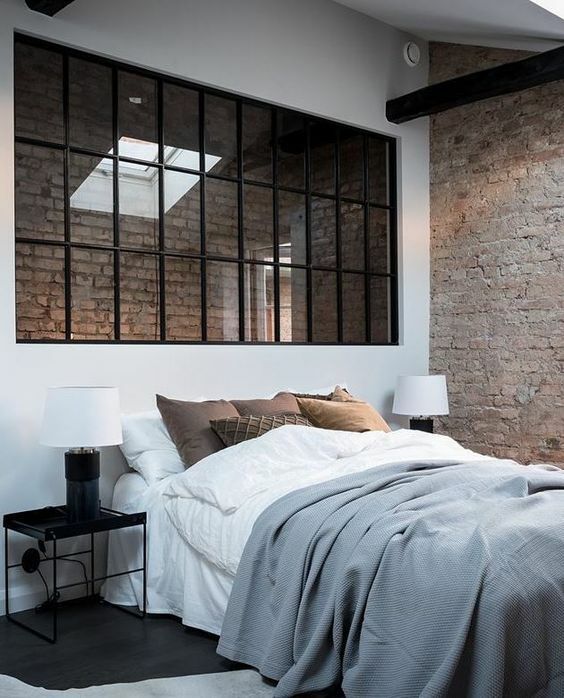 This bedroom shares the same exposed brick wall of the next room. The huge window above the bed contributes to the broken plan design. 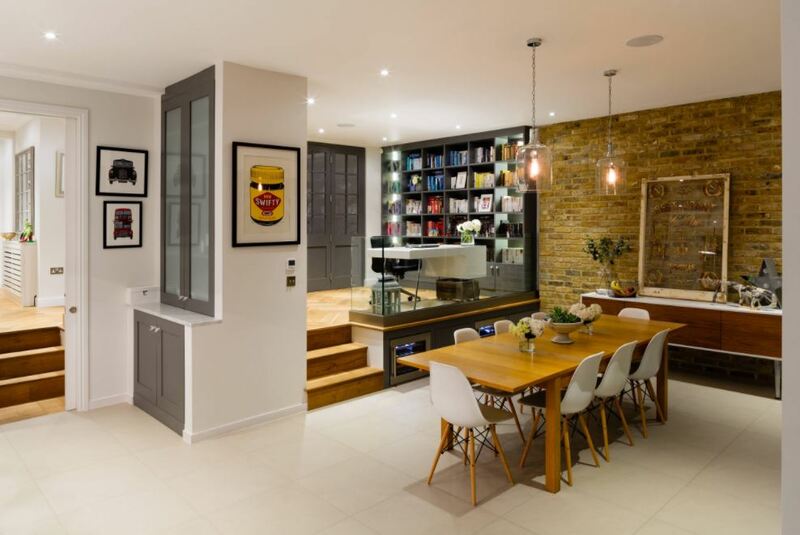 This format celebrates narrow doorways that lead to the next room. A half wall sits between the two passages to separate them. Having different floor levels in one area divides it into separate zones. Even a small difference in floor height disconnected the lounge from the other areas. Designers used distinct underfoot materials and strip lights to highlight the floor design. Unlike the apartment above, this home’s kitchen and dining are one to two steps higher than the sunken areas. The designers used the same flooring material to make this room more self-contained. Other versions of this design include a balustrade that keeps things separate. 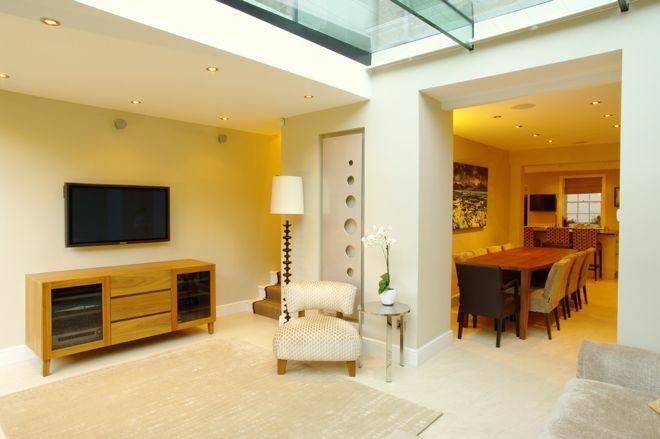 If your home has high ceilings, consider building a loft to maximise your airspace. Hire an architect who can help you plan this space. A design professional can turn a dead space into something livable and functional. Huge open plan spaces are not always ergonomic. These places feel too big, making it hard to move around. If you feel that way about open plan areas, consider putting up a partial wall to divide the area. Using partial walls is a good way to separate major spaces (cooking, living, & sleeping areas) in compact studio flats. In this apartment, a storage wall with integrated fireplace chops the room. It gives the homeowners some privacy in areas where they need it most. You can also implement the same design solution to create a lounge in a spacious bedroom. Sleek and light room panels can divide rooms without taking so much floor space. 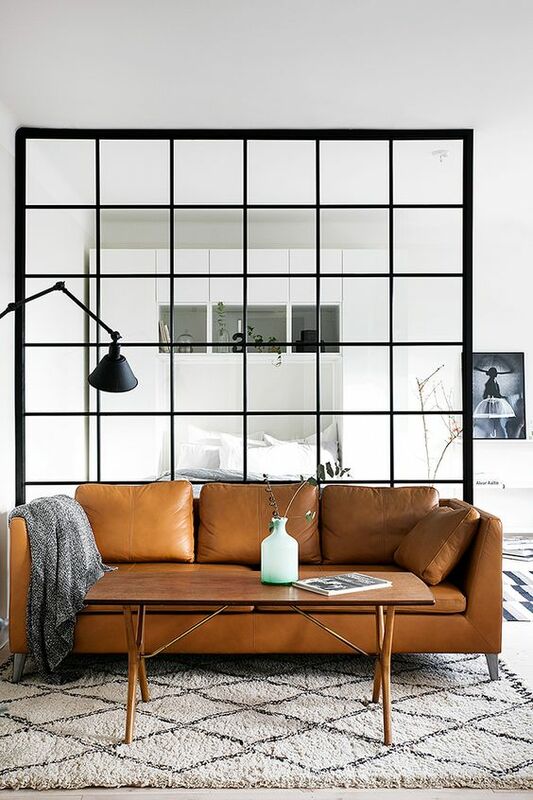 Take a look at how this crittall divider acts as the boundary between the living area and the bedroom. The material has transparent glass which maintains openness in the apartment. Laying rugs also help define areas inside the apartment. 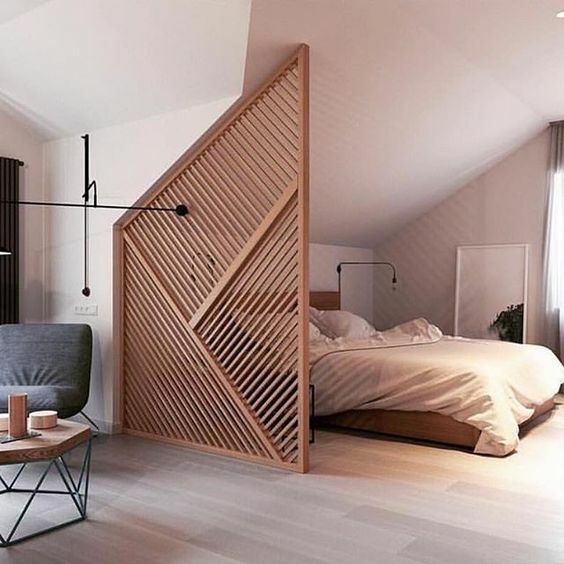 Here’s another room divider inspiration that you might find interesting. It’s made from wood and it follows the shape of the ceiling. This offers more privacy compared to the glass window divider we featured above. 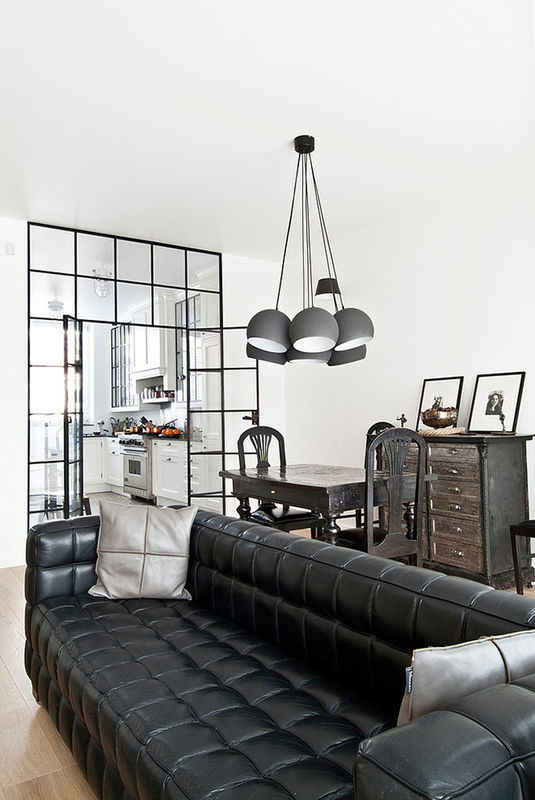 Using room dividers are more economical compared to building partial walls. If you’re building on a tight budget, this is a good option to consider. Go with sliding, bi-fold, concerto, or French doors — as long as it’s glass. Transparent glass will keep the space open, spacious, and airy. Finally, floor-to-ceiling curtains can hide some areas from your sight. 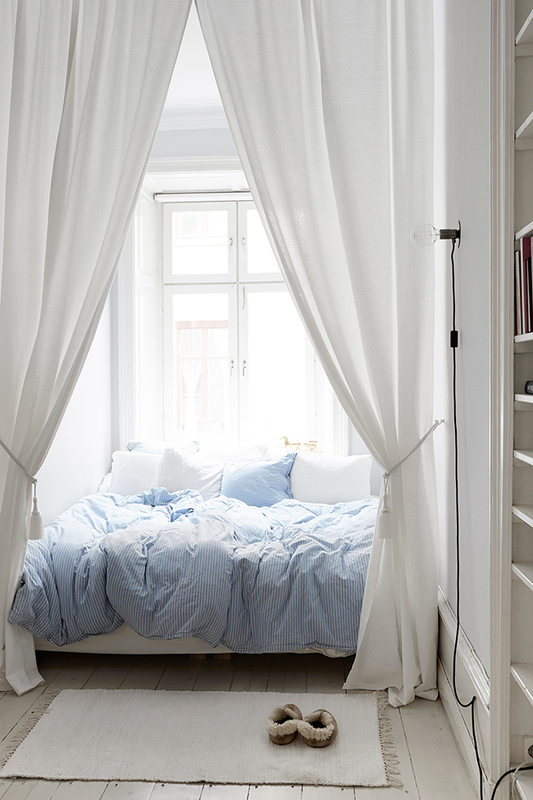 In this apartment, the designer hung white drapes to conceal the bed. The broken plan layout might sound like a disaster, but it is flexible. 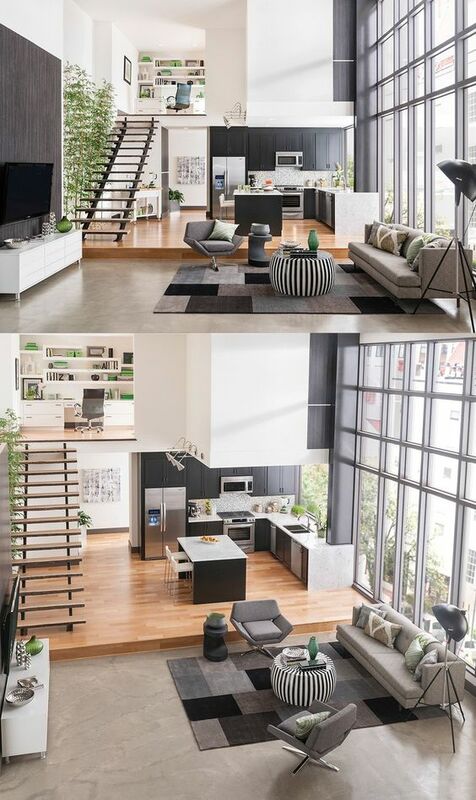 In time, people will love this layout like how they love the open floor plan. What do you think? Is this arrangement fit your style and your current home? Are you willing to try it? 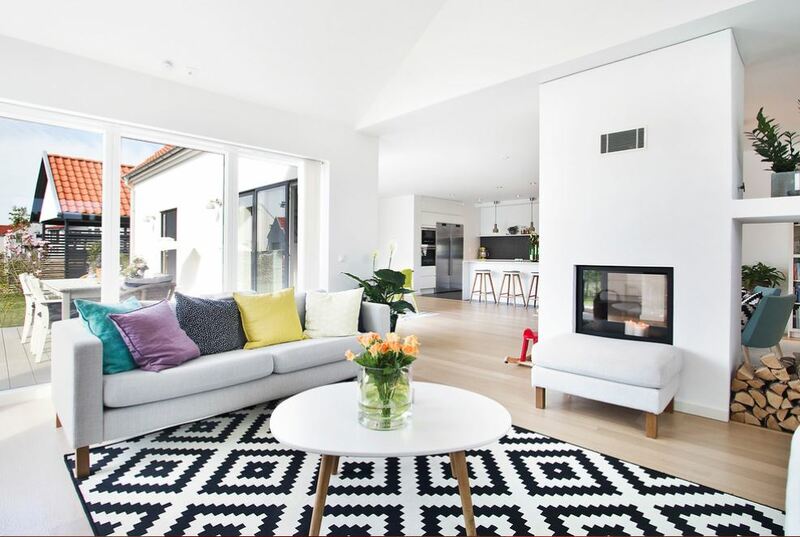 Find local architects in Adelaide to design your space. PreviousPrevious post:Everything that You Need to Know About Steel Roofs and other Metal Roofing MaterialsNextNext post:Sooo… What are Your Stairs Made of?